We want to help you lead and manage your business better! Change isn’t easy but a little planning, action and accountability will pay off. Many small business owners feel like slaves to their business. They struggle to take the time to step back and work on growing and improving their business. We want to help you get more from your business, whether that’s more time, more money or more mind freedom. 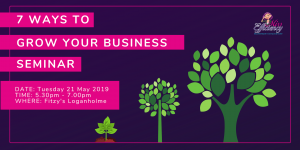 Understanding the seven ways to grow your business is key to improving your business’s performance, maximising your efficiency and increasing your profit. 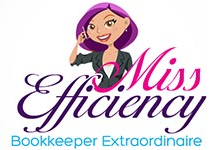 Join Sarah and the Miss Efficiency team at this 90 minute seminar covering the seven key areas in your business that you can influence as well as strategies to adopt for growth and improvement. You’ll clarify your next steps and develop a roadmap for your business to achieve your business and personal goals. It’s easy to forget that your business is there to serve you, not the other way around. This seminar will leave you feeling energised and ready to make change. Places are limited so book your spot now. That’s for me, sign me up!